Over time we have changed how we manage the WorkSave Pension Plan on a day-to-day basis to take into account changes in legislation, regulation and taxation. We’ve recently reviewed our terms and conditions for the scheme to ensure that they fully reflect the way our product works and the options available to members. We’ve also re-written them to make them clearer and easier to understand. We consider that all of the changes that have been made are in a member’s benefit and have no negative impact. Our summary of main changes to terms and conditionsPDF file: View - summary of main changes to terms and conditions PDF size: 52KB highlights the most significant changes we’ve made. You can see the Member's BookletPDF file: View - Member's Booklet PDF size: 389KB here. 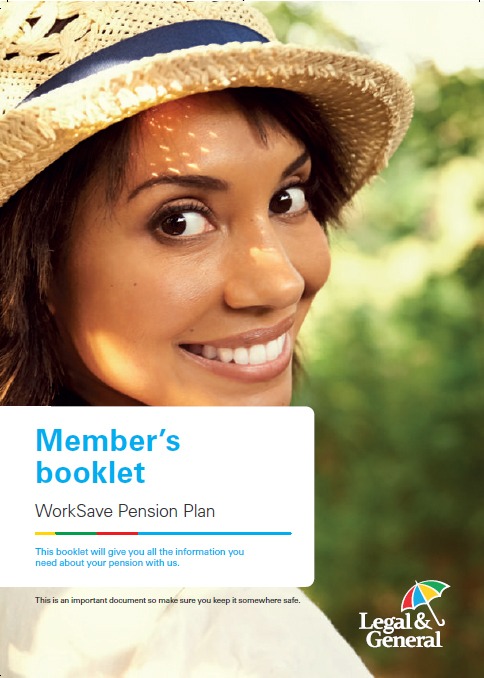 Over the next few months we will be sending a copy of the new booklet to all existing members of the WorkSave Pension Plan along with a copy of the summary of changes above. The new booklet will replace any previous versions. Each member will be given 30 days’ notice of the change to their existing terms. The new terms and conditions will be sent to new joiners from 2 January 2018. If you have any questions please speak to your usual Legal & General contact.